So you’re trying to tell me that I need experience, before getting experience??? The job search with little to no experience can be a frustrating time for everyone. Every employer will say that you need more experience, but how are you supposed to get that experience if nobody will hire you? Whether you are in high school, a recent grad, or even a stay-at-home parent about to re-enter the workforce, here are 8 tips that will help combat your lack of experience, and attack the job search head on so you can ace your interview! When you decided to apply, there must have been at least some inkling of sense as to why you applied in the first place. Spend some time thinking about why you would be a good fit for this position, and how your skill list could translate. It doesn’t necessarily have to be formal experience, rather, it could be personality traits that you possess that could prove useful. For example, if you have a knack for organizing chaos and are adept at keeping things on schedule, it would be more than appropriate to mention these traits when applying for an admin or secretary type job. If you do not match the qualifications for the job posting line for line, DO NOT PANIC. 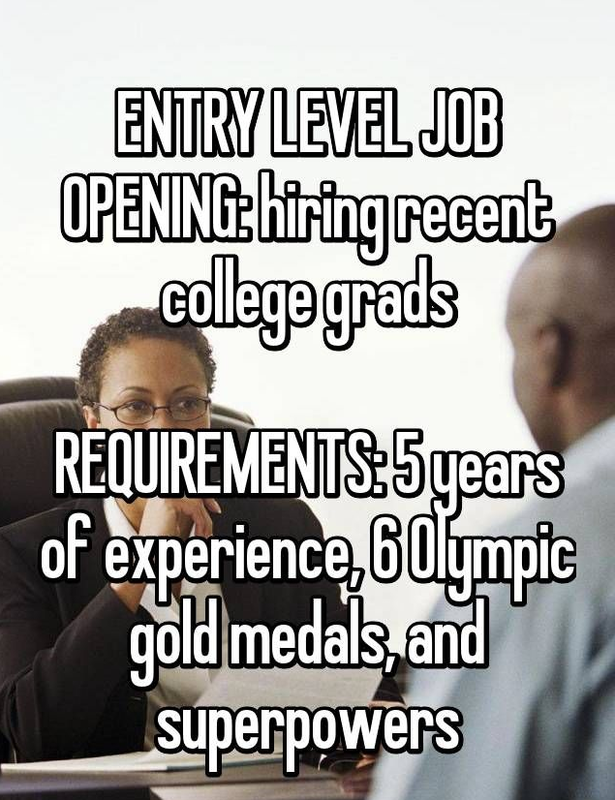 People get hired all the time and they don’t match every qualifications perfectly. Now obviously, you should still have most of them. I wouldn’t go applying for a job that requires 10 years of experience when you only have 2. However, if the job posting requires 3-5 years, and you have a solid 2 that you can write a really well thought out cover letter to, by all means, go ahead and apply… Speaking of cover letters. Although you might not have the exact field experience someone might be looking for, that does not diminish away for the experience you have gained throughout your life in the non-traditional sense. For instance, maybe you helped raise money for charity through a fundraiser. This could prove beneficial as it shows you are adept at organizing, money handling, and time commitment. Or maybe that fashion blog you have been working for years as a hobby could prove useful in demonstrating your strengths in writing and the fashion industry. Experience does not always need to be derived from a professional background. You probably have many other things in your life that could demonstrate useful skills. We got a tricky one here. On one hand, if you don’t show that you are confident in your abilities to perform the job, neither will the interviewer. On the other hand, however, you also don’t want to come off as being too cocky or naive about your own experiences. Finding a good happy medium is crucial in acing an interview. You want to fall somewhere in the middle; confident but with a realistic understanding of your own strengths and weaknesses. Obviously it would be clutch to just step into a job, but if nobody is offering, find other ways to boost your resume. Internships, part time jobs, volunteering, or even working on your own projects could help to mitigate the experience deficit you might show, ad ultimately make you a better candidate. Sure, all the above tips are good and all, but in the end, being realistic about the type of jobs you are applying to is one of the most important aspects of the job search process. Some fields have such tight competition, hiring managers are less likely to hire someone with less experience than another. When applying, you’ll have the most success if you carefully target jobs you truly can prove you can succeed at; not just jobs where you think “I could do that,” but jobs where you can point to specific evidence that you’d excel. Ultimately, the idea here is to put yourself in the hiring manager’s shoes. What should make them excited about hiring you? That’s what needs to be reflected in your cover letter, your resume and your interview. And if you can’t figure out why they should be excited about hiring you, you can’t expect them to figure it out – which should be a flag that you need to move on to a different opening, one where you can make a compelling case for yourself.